Our doors are open to couples interested in having one of our priests marry them, whether the couple is church-going or not. We welcome interfaith, same-gender and people who have been previously married. Our only requirements are that: at least one of the two be baptized (in any Christian tradition): and we do several sessions of premarital counseling together to explore the couple's strengths, growing edges and their spirituality around marriage. Our clergy are also available for Renewal of Vows or a Blessing of a Marriage for those already married by a civil ceremony. Our clergy are available for funerals, memorials and graveside services. If you are seeking a sacred ceremony, we are available for traditional Episcopal services or a more contemporary Christian memorial. 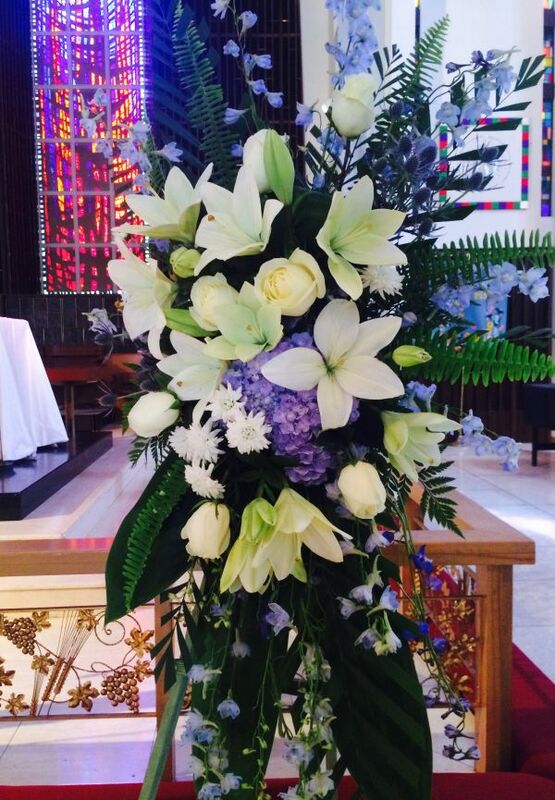 We welcome you regardless of whether you or the deceased have ever been actively involved with our church. The columbarium is our consecrated, sacred place of memory featuring niches for storing the cremated remains of loved ones. It is located in a small meditation chapel behind the main altar, below the soaring Holy Spirit stained glass window.